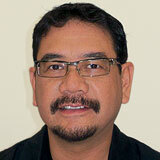 Ike Ortiz-Luis is international project cargo manager, DGX-Dependable Global Express, 888-488-4888. Although container shipping remains the dominant form of ocean transport, breakbulk shipping, in which heavyweight freight is transported without being packed in containers, has seen significant growth. Non-container cargo covers a variety of shipments, ranging from oversized tires for earth-moving equipment to complete electrical power plants. One reason breakbulk shipping grew despite the economic downturn, which led to a drop in container shipping volumes, is that vessels with heavyweight capabilities often carry industrial products and commodities that are less subject to consumer whims than the goods typically transported in containers. Many heavyweight shipments involve multi-million and even billion-dollar construction projects ordered both by private industry and government agencies, and these projects typically continue even when the global economy slows.